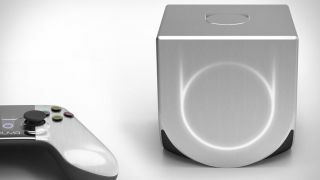 The little Android-powered game console that could, the Ouya is now available to pre-order from Game so you can get your mitts on one even if you didn't back the insanely successful Kickstarter campaign. With the Ouya release date set for June 2013, the console will set you back £99.99 with one controller pad in tow. You can also pre-order additional Bluetooth controllers from Game for £39.99 - head on over here to get involved. Given that it's running Android Jelly Bean, you won't have to worry about buying physical games for the Ouya because everything will be downloaded from Google Play, where you can even try before you buy on a number of titles. We were worried that the Ouya console would come with a hefty shipping fee when it was released, on account of it being born and bred in the US - and yeah, we're paying a bit more in the UK since the US pricing is set at $99 (around £60). Still, those specs are pretty good - quad-core Tegra 3 processor, a gigabyte of RAM, 8GB storage and HDMI for up to 1080p HD graphics on your television. All that for £100? Oooh yeah. Not too shabby.